Supported by Simrex CRMS radio management system. 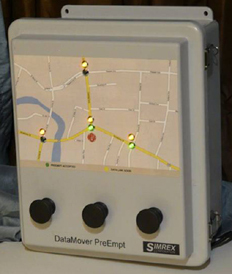 Standalone GPS for newer controllers that support GPRMC GPS message format. Lower cost than full controller based Simsync. Same tamperproof hardened antenna as the full Simsync. Spectrum Analyzer PC software included. 16 bits of DIO (expandable for additional digital or analog IO). 2 + serial ports for user application. Serial ports for configuration and Flash upgrade. 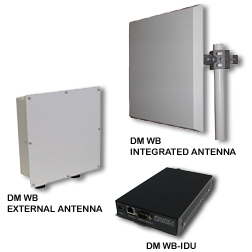 Available with or without internal Spread Spectrum radio. GPS interface capability for timing or positioning applications. Compatible with all ATC, ATSC and 2070 traffic controllers that have an H1 card slot. The H1 card is normally used for hosting a 6A or 7A card (serial or FSK modem). Available 900 MHz or 2400 MHz. 170 Traffic Controller Modem Slot Compatible. Standard Loop Detector Slot Compatible. 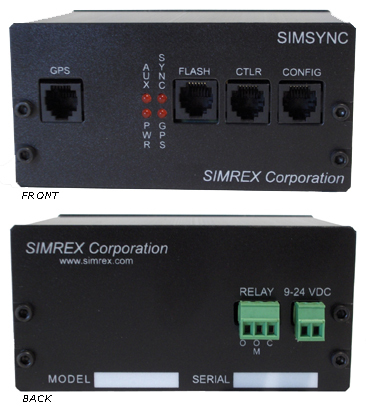 RS232 and/or FSK 2/4 Wire Interface. 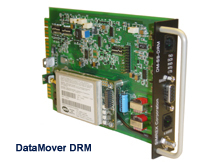 DataMover DRM With integral 2/4 wire FSK modem. Networkwide Diagnostics - Central Network Control . 1 to 5 intersections per route. Green ACK LED if preempt is accepted by intersection. Yellow link valid LEDs indicates health of nodes. Indoor antenna possible for firehouse. 900 or 2400 MHz unlicensed, secure. 25% to 35% of the cost of truck based solutions. 1 to 4 hours typical install.